We’ve discussed the importance of a good password, but what good will it do if you make it easy for people to steal? Can you even call it stealing if you leave it out in plain sight? You might have seen the buzz about the hacked French network exposing its own passwords during a TV interview when an employee left a post-it note on a wall in his cubicle, which revealed the network’s passwords for YouTube and Instagram. While French authorities continued investigating how the TV5Monde network had 11 of its stations’ signals interrupted the previous night, one of its employees showed just how easily a basic password theft might have led to the occurrence. Forget about news interviews, there are enough everyday reasons to not leave your login information exposed. What about malcontent coworkers? Nosey visitors? Or vendors like the cleaning lady or pest control fella? You can never be too careful, so it’s best to keep all your private and personal information as secure as possible. 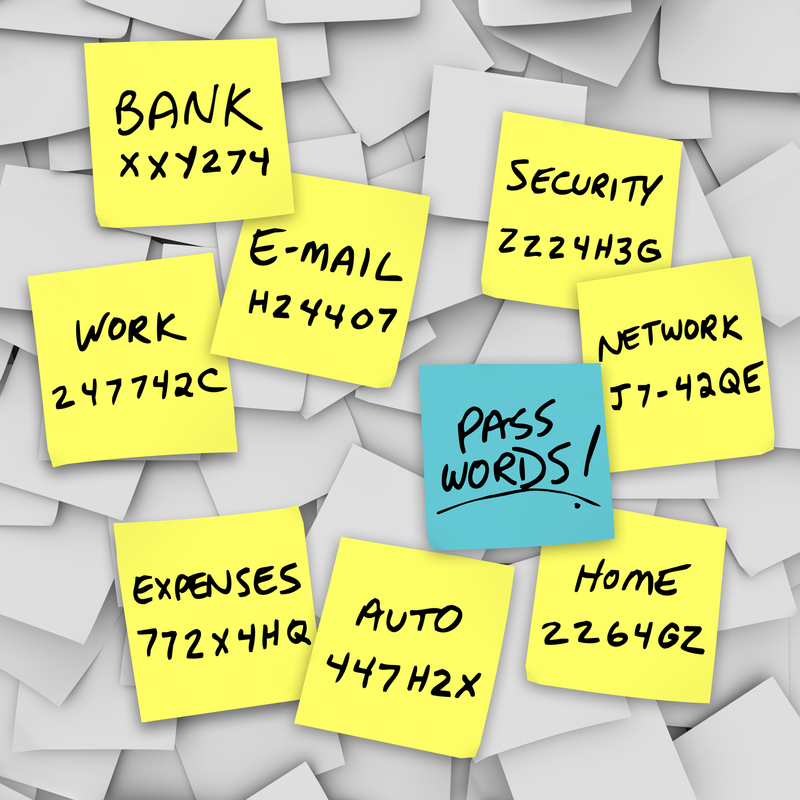 Most people have more that one password, which is important. You don’t want to have the same login credentials for every website as that makes it even easier for hackers to gain access to ALL of your accounts. So it’s natural to need to keep all that information stored somewhere but you need to be safe and smart about it. Floating papers in an office is NOT the way to go. Try a secured password keeper like Keeper® Password Manager & Digital Vault, which provides secure and encrypted data storage for your passwords, files, photos and notes. But sometimes, keeping the password locked up isn’t the only issue. The strength of your password is just as vital. One follow-up theory about the source of TV5Monde’s hacking also hinged on a bad-password issue—namely, that the network’s highest-level password was “azerty12345,” the French-keyboard equivalent of “qwerty12345”. Simple rules for creating a strong password are having at least 8 characters, including numbers, symbols, capital and lower case letters, and staying away from obvious combinations of words. Passwords are stolen everyday, on Facebook, Twitter, Yahoo!, most of us have fallen victim at some point or another. But, were you able to catch it in time? In February, security researcher and consultant Mark Burnett made waves when he posted 10 million stolen usernames and passwords on his blog. Of course, the security expert didn’t post the passwords with malicious intent. Instead, his goal was to “release a clean set of data” that gives the world insights into user behavior. You can visit this page on programmer Luke Rehmann’s website, and you’ll be able to search for your usernames and passwords in the leaked file. To check your usernames against more complete databases of stolen credentials, visit Haveibeenpwned.com and Pwnedlist.com. BGR.com notes, you can (and should) search with partial entries. So, for example, if your password is “trustno1,” you can simply search “no1″ or “trus” and see if one of your accounts comes up. By sheer coincidence, your SLPowers blog writer just received a call from “Windows Technical Support” with regard to their computer….their Apple computer. Which brings up yet another important rule…never give out your password credentials to anyone. Has your password ever been stolen?